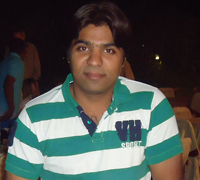 I am Nazim Shaikh a Certified Oracle Application and Database Professional with 10yrs of experience, having served various client across the globe.I am told my ability to resolve an issue however trivial or complex it be has been my most promising facet so far. It is a thrill to be challenged and then overcome it. I am sure it is needless to mention stretching beyond the obvious is something all of us do, just as I seem to have a habit out of it now.